Todd pictured with one of many Wounded Warriors he has had the honor of taking fishing. 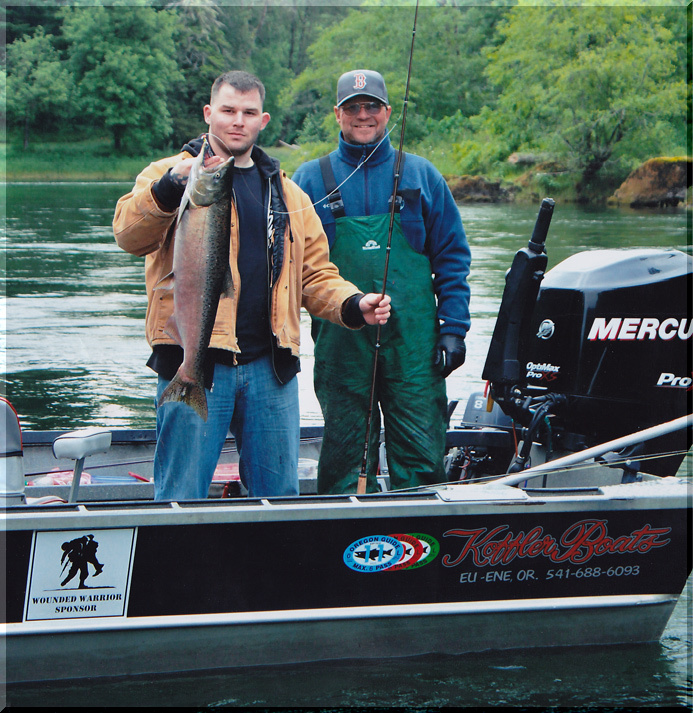 Todd Linklater is one of Oregon's top salmon and steelheads guides, he has 32 years experiance boating and fishing. Fishing in Oregon requires many types of fishing techniques and presentations. Todd Linklater has mastered all of these techniques. Fly Fishing for Steelhead and Trout. Todd will help teach all these techniques. U.S. Coast Guard Licensed, State Marine Board Licensed and is First Aid and CPR Certified.